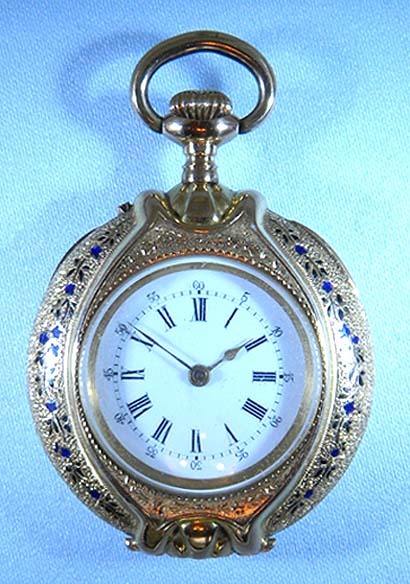 Fine and beautiful Swiss 18K multi-color gold and enamel oval ladies antique pendant watch with locket circa 1890. 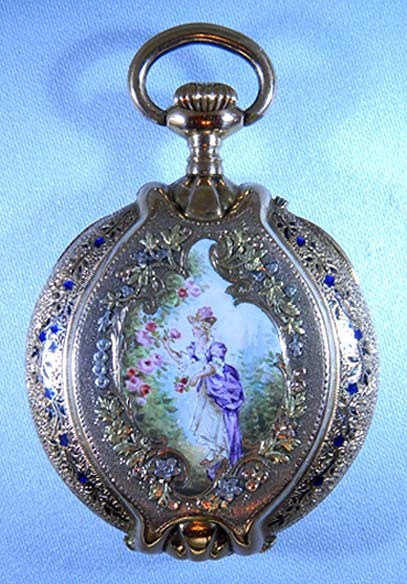 The case back with a painted enamel scene of a maiden in a garden within a border of applied flowers in various colors of gold. 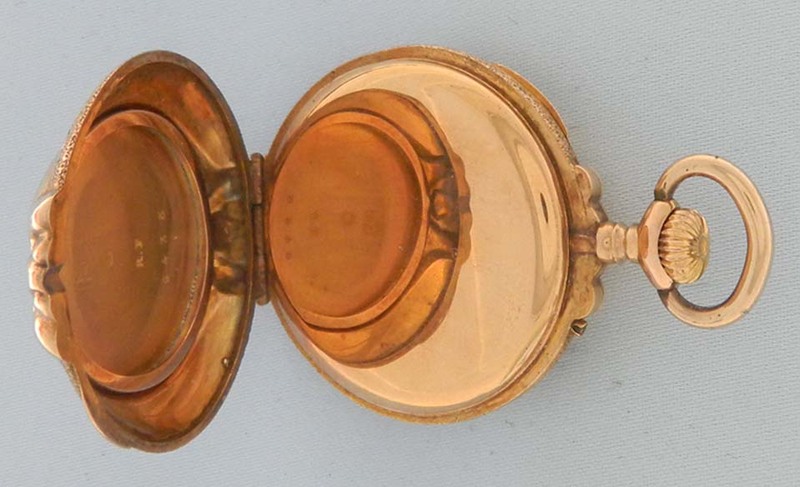 The case engraved overall enhanced by enamel foliage. White enamel dial with black markings and gold spade hands. The inside back cover with a frame for a photo. 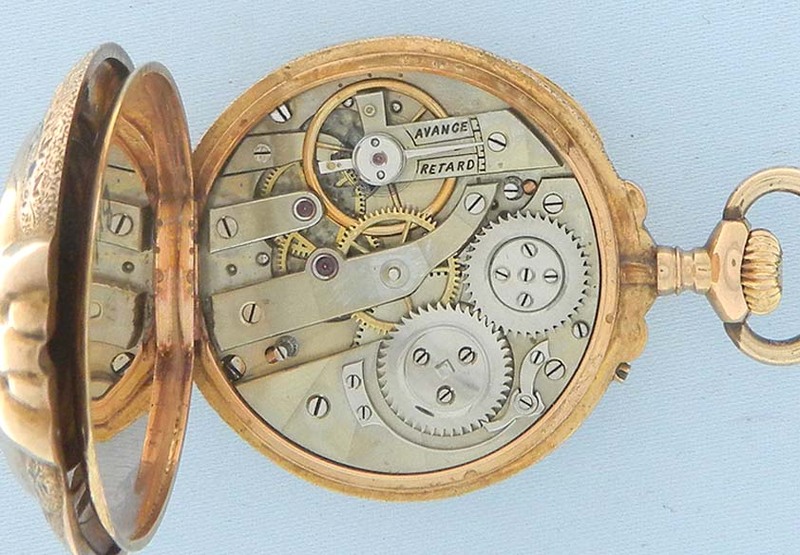 Nickel 10 jewel cylinder movement with wolf tooth winding.